So the search for the Tinker Tour “Bus” continues…. 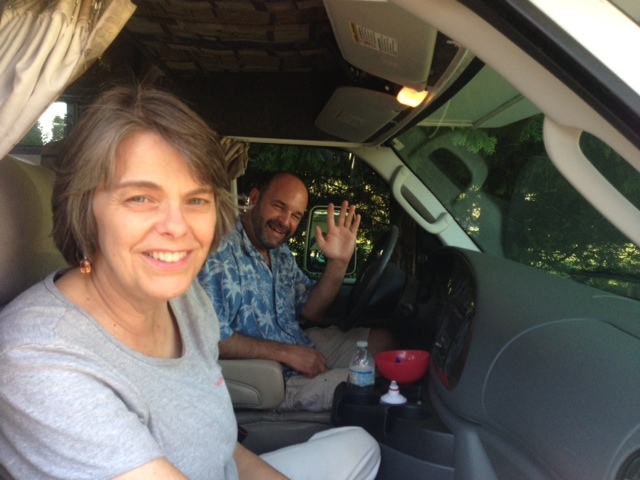 Mary Beth Tinker and Mike Hiestand checking out possibilities this week for their Tinker Tour “bus”. We have a Plan B (renting an RV) in place and ready to go to kick things off at the Liberty Bell Sept. 17, but we are still very open to Plan A (finding that wonderful donor whose bus/RV is dormant after Labor Day and meant to be part of history) that would give us some nice breathing room in our budget. Also, the deadline for confirming invitations to the Tinker Tour for this coming school year passed yesterday and we are now at work on what we knew would be the hardest part of our project: narrowing down our list of potential hosts and creating our official itinerary. We sent out an email notice today to those whose confirmations we received to update them on the process. For the latest on where things stand, you can always check out our Invitation Page. Finally, StartSomeGood published a nice article today on our successful crowdfunding campaign. They were a wonderful group of folks to work with. We’re very grateful.